The failure of regulators within Ghana’s financial space such as the Bank of Ghana and the Securities and Exchange Commission to publish the list of credible financial institutions in the country is to blame for the increasing spate of investment scams in the country. This is the assertion of the president of the National Association of Graduate Teachers (NAGRAT), Angel Carbonu. According to him, the Bank of Ghana, as well as the other regulators, must be proactive in protecting citizens from investing in unlicensed financial institutions. He such the regulators must be seen to be aggressively educating the public on what to look out for before investing their monies and also create a public directory of recognized financial institutions that are authorized to receive deposits from citizens. 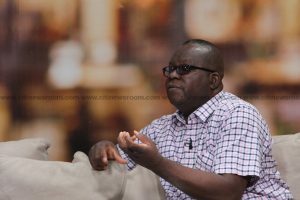 Speaking on The Big Issue on Saturday, Mr. Carbonu said the government through the BoG and SEC cannot exonerate itself from the Menzgold saga as it failed to act proactively to protest persons who had invested in the company. “The Bank of Ghana is one institution that is blessed with several PhD holders. Do they come out from the confines of the Bank of Ghana unto the streets to let people know aggressively that the institutions are painted white and these are painted red? The conservative attitude of being a boss is really affecting this nation… The Bank of Ghana acts after there is a problem. I am talking about a preventive situation where the Bank of Ghana realizes that in every country there could be fraudulent people and they establish institutions that are not supposed to operate,” he said. “They should give the people information and let them know that if I want to know credible institution of whatever category, when I get to this list, it will tell me the institutions that the state considers at credible and that I can invest my resources with. Most of the savings and loans company that took people’s money away only had certificates of incorporation registered with registrar general. Some had only provisional certificates,” he added. The Menzgold saga appears to be the latest investment scam situation in the country as the company, which presented itself as a gold dealership company taking deposits and giving between 7 to 10 percent monthly return on investments has not been able to pay dividends nor principals of investments of its numerous customers. The company’s CEO, Nana Appiah has allegedly gone into hiding outside the country. Although the Bank of Ghana and the Securities and Exchange Commission warned citizens against investing in the company earlier, Angel Carbonu believes that the warning came too late and was not enough a thing to do. He suggested that consistent public education and the listing of accredited financial institutions in the country will help prevent investment scams from occurring. The post Publish list of credible financial institutions – Carbonu to BoG, SEC appeared first on Citi Newsroom.